When you are looking for a nice gift for a friend or relative I bet you often reach for a luxury box of chocolates. 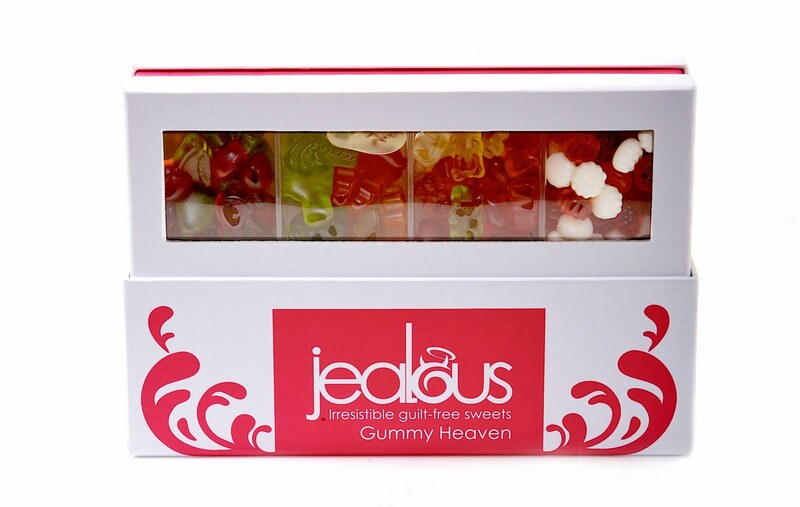 This year why not stand out from the crowd and give a box of delicious Jealous sweets. Irresistible, delectable sweets packaged in gorgeous gift boxes, made from only natural ingredients and suitable for those with specific dietary and ethical requirements, a Jealous gift can say everything from happy birthday, to thank you, to I love you to Happy Diwali, Hanukkah, Eid; whatever the occasion, it's something sweet-lovers can be proud to give and receive. I was lucky enough to try a sample of these sweets and they really were yummy! Fruity and refreshing, I really loved them. 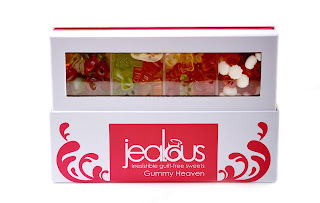 I have a number of vegetarian friends who miss being able to eat gummy sweets, so these would make an ideal gift for them. For further information about Jealous visit www.thejealouslife.com or get involved by following @thejealouslife and facebook.com/JealousSweets.